Judy singing at the Palace, 1951. I’ve found that I rarely talk about Judy here. For those of you who know me, you know what an intense Judy Garland fan I am. She does something to me. When I was 10, I heard her voice for the first time outside of The Wizard of Oz and Meet Me In St. Louis, and it immediately drew me to her–I can’t explain it, other than to say it is inexplicable. I have been to the Judy Garland Festival 4 times, and was interviewed about my love for Judy on NPR when I was 13. But I don’t talk about her much on my classic film blog. Why is that, you ask? I think it may go back to the inexplicability of my devotion to her. When people ask me what it is about Judy that draws me to her, I tend to ramble–to try to either justify it, quantify it, or to make some sort of tangible sense of it. It makes no sense. It may also be due to the fact that I don’t particularly think of Judy as a classic film star, per se. She certainly was one, but her reach went so far outside of her years at MGM that she essentially blew through her reputation as a film star and created her image as an ICON. After 15 years at MGM, she was fired in 1950 due to her unpredictable behavior, and set upon a concert career. Not only did she merely break into this field of the entertainment business, but she broke attendance and box-office records, won Grammys and a special Tony Award, and established an international reputation as a first-rate concert artist. Right at the outset of her experimentation with a concert career, she secured an engagement at the renowned and coveted Palace Theatre for 4 weeks. She ran for 19, breaking all previous records for the theatre, and securing her status as concert performer. She was far more than a classic film actress, she was a world-class entertainer. A bit of backstory to the Palace engagement–Judy’s run at the Palace came on the heels of a humiliating firing from MGM in 1950, after a number of years of difficult behavior and illness–mostly due to the prescription pill addiction that became increasingly severe between 1939 and 1950. Beginning around the time of the success of The Wizard of Oz, MGM provided Judy with pills to make her sleep, pills to wake her up, and pills to make her lose weight, resulting in an unhealthy and uncontrolled regimen that had disastrous physical and mental consequences for her young body. By 1950, she was nearly paralyzed by psychological problems, and had already undergone psychiatric treatments and electroshock therapy to bring her back to work. Summer Stock with Gene Kelly was a success that year, but when these issues prevented her from working on Royal Wedding, Judy’s contract was terminated and she was a has-been at 28. Everybody thought Judy Garland was through, but with the help of a charismatic talent agent turned film producer by the name of Michael Sidney (“Sid”) Luft, back she bounced the next year with her record-breaking 19-week engagement at the Palace Theatre, beginning on October 14, 1951. Judy’s opening number at the Palace. Following her success at the Palace, Judy gained a reputation as a bankable concert performer, and it looked like that’s where she would stay. That is, until 1954, when Sid Luft (whom Judy married in early 1952) decided he would stage another brilliant comeback for Judy–this time in movies. Here we have two magnificent comebacks for Judy Garland within 5 years–with some striking similarities. This post aims to highlight some of those similarities, interwoven with Judy’s offscreen life. Part of the appeal of A Star is Born, at least where Judy is concerned, is the bubbling, charismatic energy that is exuded from the screen. While watching the film, we often feel as though we are watching a live show, as Judy Garland worked her stage magic onscreen. In this scene, Judy is playing a young hoofer just striking it big in the theater world. She has had trouble in the past, difficulty finding her footing, and now she is singing her heart out in a show made just for her. Playbill for Judy’s one-woman Palace show. Judy’s show at the Palace was designed as a tribute to vaudeville–whose heyday centered on the Palace Theater as the mecca for the show business industry. 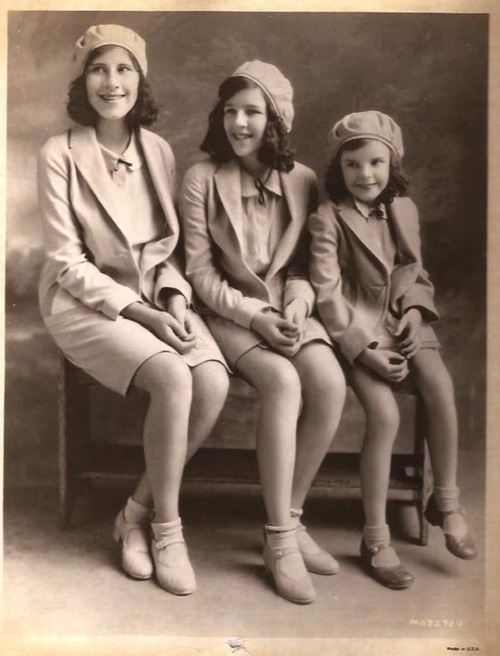 As a child, Judy traveled around the country in “lousy vaudeville” as part of The Gumm Sisters, an act made up of Judy and her two older sisters Suzy and Jimmie. The girls played in various small houses with Judy (then known as Frances, or more often, “Baby”) invariably advertised as the star. She had joined the act at the age of 2 and a half, and in 1935, at the age of 13, she was signed to a contract at MGM. She made a string of unmemorable films before her huge breakout role in The Wizard of Oz, which established her as a star and legend. Judy (far right) with her sisters Jimmie (middle) and Suzy. Following The Wizard of Oz, Judy became a hit. She starred in 6 feature films between 1940 and 1941 alone, and developed a repertoire that would stay with her throughout her entire career. She developed a friendship with many prominent composers, lyricists and arrangers, including the legendary composers Hugh Martin and Harold Arlen. Judy Garland with Hugh Martin, 1944. “The Man That Got Away,” by Harold Arlen. Despite her problems, Judy Garland was renowned for her resilience and ability to be self-deprecating and to put on a happy face, no matter how rough times were. Many attribute her status as a gay icon to this aspect of her–her ability to keep coming back, stronger than ever, after each hardship. Audiences were drawn to her, and she gained a legendary following that was absolutely devoted to her. This is a very powerful scene, and eerie to watch, as we are essentially watching Judy talk about herself. The premise of the scene is that Judy’s husband, a former film star, is in a sanitarium for alcoholism and Oliver Niles, the film head, comes to check on her. Notice her vulnerability, her emotion, and her sadness for the reality of the situation, and then her COMPLETE transformation as she goes back to the set. That isn’t a character–that’s Judy. The audience, comprised of Judy’s devoted fans, sings Auld Lang Syne to Judy on her closing night at the Palace. Judy Garland’s life could be a book–chock full of metaphors, symbolism, irony, and repeated themes. I came up with the idea for this post while listening to Judy’s Palace album, and thinking about the similarities between these two monumental events to each other, and to Judy’s life and career. I hope I have done those similarities some justice. I was disappointed to find that nearly all of the Palace material I wanted to use was unavailable on the internet, so I took the initiative to make most of the Palace videos you see in this post. I too am a huge fan of Judy Garland – what classic movie buff isn’t? But you are so right about her legacy extending well beyond the Hollywood scene. There’s something much deeper in how Judy truly effected her audience that you don’t see in most other stars, including my own Katharine Hepburn. I think it’s because Judy’s style of performance really reached out into the audience, cultivating a deep bond that cannot be achieved by a merely voyeuristic experience. In addition to the performances you’ve discussed here, I also really like clips from her brief stint on TV. She did a lot of amazing duets, but my all-time favorite is when she sang The Battle Hymn of the Republic after JFK’s death. That just tears my heart out and gives me the shivers every time. I think it’s important, where Judy’s personal life is concerned, to take Liza’s advice and not think of her as a tragic figure. Because she did continue to keep hr chin up and perform like a true champ even when things were super tough. She’s an inspiration to all of us. Thank you for posting! I totally agree. The last thing she wanted was to be seen as a tragic figure. She prided herself on her humor and her sense of fun, and I think it would be cruel of us to take that away from her in death. Some of those songs she did at the end of her JG Show are spectacular. “Ol’ Man River,” “Battle Hymn of the Republic,” and I also love when she sings “I’m On My Way” from Porgy and Bess. She sure knew how to pack a punch! It is difficult to believe that the same young woman who played Dorothy had such a difficult life. What a beautiful voice she had. Thanks so much for such a detailed and thoughtful blog on the many facet of Judy Garland. We’ll never forget her!